Now whilst I’m at the very early stages of looking at Campervans and as a current VW owner, I can’t help but wonder if the ocean is seriously overpriced. I realise that it holds its value very well but with a starting price of £53k for a manual and lacking in some kit I really think should be standard at this price point, I find myself looking at what else is out there. For £46k, I think the Hyundai is a bit of a bargain in comparison - better kit as standard including an auto and bigger engine. I can only imagine the interior quality won’t be as great but then again, I wouldn’t need to add options and could potentially save about £15k compared to the price of a similar Ocean spec-wise. The 5 year vehicle and conversion warranty are also big plus points for me. Ultimately, I think the Cali is a nicer looking van, although I do like the Hyundai and part of me is attracted to the ‘VW scene/history’ but even so, I’d be interested in your thoughts. I don’t expect many people will consider their purchase a waste of money as such but I think that most regular people like me would consider it a big purchase and not particularly the most competitively priced for what you actually get - certainly in terms of what else is out there for significantly less cash. But in the same breath, maybe I’m wrong - I’m still very enthusiastic about the Cali and can’t fully comment until I get inside one to have a good look but certainly from using the configurator fairly conservatively, £60k was easily looming which I must admit to thinking was total madness. Have you thought of buying used? There are some lovely cali's for sale on the for sale section . Looks good value but I would miss the ability to turn the drivers seat and move the rear seat (that makes a 2 m long bed) that can be adjusted to vary the load space at will. 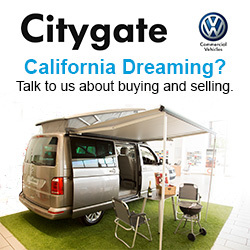 A 5 year 80,000 mile warranty is available on new California's for under £400. Whilst the depreciation rates are likely to be somewhat worse than the California the fact that Hyundai is sold from its dealers would certainly merit a test drive or even better a weekend hire. I would probably go new to take advantage of a finance offer tbh, as used would mean I’d need to go down the route of a loan and I’m not sure I want to go that way. 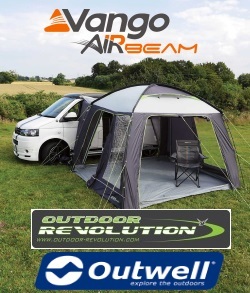 My reasearch has revealed that the camper isn’t sold in UK dealers unfortunately. Are they worth the money ! Is any vehicle ? Would I buy another, unequivocally yes. 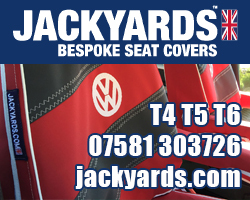 I have had several Vw Transporter based vans ranging from T2, T5 caravelle , T5.1 combi and now T6 Cali. Prices are mad even for second hand, why ? After selling my Caravelle, I regretted it immediately, I could not replace that vehicle today for what I sold it for ! other brands ? can’t really comment because I have not owned another brand of van. A Cali is a large financial commitment, only you can decide if that commitment is right for you and how you will use it. Look at this forum, good bad warts and all, and decide what is right for you and how you will use it ( or another vehicle) no one has the answers you are seeking. You have to assess those for your own particular reasons and justifications. A Cali is a lifestyle choice and the way of life it offers and the choices it gives is one of its most endearing factors. Is there a scene tax, definitely, but is it a tax worth paying? Is it a perfect vehicle ? no, but it is one of the best offerings on the market. Every Cali owner has gone through the process you are going through, each one has had there own reason to own a Cali, the reasons may not be the same as yours! I looked long and hard at other conversions before I twice opted for a Cali. Most of the transporter based conversions are little cheaper if cheaper at all when adding in all what I need, and emphasis on the " I " because we all have differing needs. I ultimately also wanted a bed on rails so that it could convert from camper to van when needed, or I could carry large loads in the back whilst carrying two passengers in the back. I just felt that the transporter was a rugged vehicle for where I wanted to go and I've been proved right after one unintentional aerial excursion near Drumbeg. I wanted something that I could feel comfortable trundling off the beaten track in. I don't know much about the Hyundai qualities. What I have seen it looks to be an excellent thought-out conversion. The transit based Terrier from Wellhouse looked superb on the surface but I doubted if it could make the bottom of a potholed road before rattling everything loose. If you really want your eyes to water then the invoice value of my current vehicle was £72k. Having owned a California before it did not phase me and now, 18 months later, looking at residual prices it phases me even less. One advantage I do have is the need for a second car and factoring that into the equation and what I traded in for the Cali then my increased outlay is only £22k at commencement and sweet nothing when considering the residuals, possibly a gain. You will be perfectly happy with the Hyundai and I have looked at it and been impressed. But if you like the California and it's "scene" you will still want one after you get the Hyundai, every time you see one you will feel a tinge of what might have been, until eventually you will end up getting one anyway! Actually, if you look at the Cali and compare the price with an upmarket SUV, then the Cali looks good value. Good luck and have fun choosing! Does it come with a bag to pop over your head whilst driving...? Probably gonna need a garage to, so you can hide it from the neighbours. Do they have special places at campsites out of the way. If I was pitched opposite one of these I would probably complain to the warden. It’s a bit of an eyesore, isn’t it...? Can’t believe I actually read this far!!!!! Of course they are overpriced! Do you know why VW charge so much?? Because they can! But... they are the best of the bunch and if you sell it, because a new one is so ridiculous, you can get a good wedge for a well kept one. They are expensive but when you look at the depreciation they are probably better value than cheaper alternatives. Hyundai have a terrible depreciation on their cars I can't imagine the vans will be much better although campers do hold value a little better. 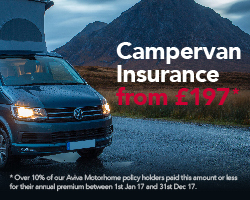 At the end of the day, whatever you can or want to afford a campervan is a great way to spend your money. It will take you places, give you great times and that is the priceless part regardless of it's brand. Go for what feels right. If you want a campervan then get the Hyundai. But if you want The Campervan then get the VW and join the Club of VW owners. There is a reason there are so many VW Clubs. That sums up what I could have added, I have had three now not lost very much on the first two. I have extended warranty. Would I have a conversion No. Would I consider another brand No. personal choice. Hyundai, that look of the front end would drive me back to a tent. However good it is I could not live with the look of that vans front end.